Upon completion of either course, a certificate is offered. 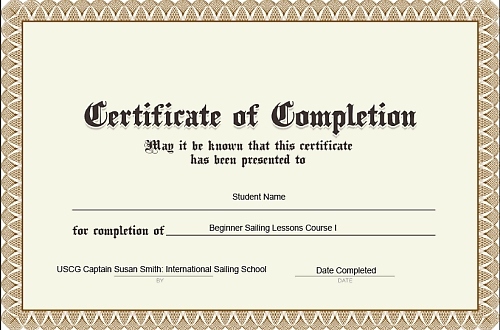 Our Online Sailing Course certificate can be used to show a sailing school or instructor what classroom courses you have completed. You will also be given a printout of your test results. This way, you can be placed in the proper level of the course. Your school or instructor are welcome to contact us for free consult if they like.